When I was in college, I talked about suicide constantly. Just saying that word-suicide-in a safe and well-informed space, then saying it again, and again, has completely transformed the way I speak and think about suicidality. 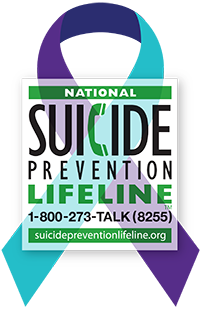 If you were in the right place at the right time, you could have walked down a hallway and heard twenty different students ask some version of: are you having thoughts of suicide? I was in a group of peer counselors, and our job was to be ready to talk about anything that could be on someone's mind. For some topics, this just meant making yourself available to sit and listen. But for others, including suicide, it was clear that our openness needed to come in the form of an active invitation to talk. The stigma surrounding suicide creates huge emotional barriers to saying your thoughts and feelings out loud. For someone who is already struggling, and in a lot of pain, these barriers can be nearly insurmountable. Some common stigmas about suicide include the idea that it's an inherently selfish act, that it's immoral or a sin, that it comes from a desire to be the center of attention, or that it is intended to punish others. Even if the core of these ideas is valuing a human life over any kind of struggle that might be going on, these ways of conceptualizing suicide only serve to reinforce the pain that someone having thoughts of suicide could be experiencing. For example, if I'm already feeling worthless, or like a burden to those around me-first of all, this is my own pain based on my own experiences. No one is wrong about their pain, even if it doesn't make sense to others. Second of all, and crucially, hearing that I am selfish, immoral, or that giving me attention would be a waste or a burden will only support the arguments in my head that I am not worth it. Showing someone that they are worth it means opening yourself up to whatever they are going through-including suicidal thoughts. The first time I asked someone if they were having thoughts of suicide, I was terrified. I had a thousand fears about how the other person might respond. What if I'm putting words in their mouth? What if they're offended that I asked? What if they were feeling bad, and I introduce the idea of suicide as an option? What if they say no, but they're lying? What if they want me to push harder and I fail them? But I asked anyway. I'd been told that asking if someone is having thoughts of suicide does not increase the prevalence or risk of acting on those thoughts. It wasn't until I tried it that I saw why this is true. If anything, the answer to all of these questions is more frightening if they are left alone in silence. 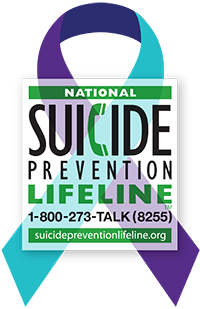 If someone is having thoughts of suicide, it's silence that puts them at higher risk, not asking about it. Taking the step to say those words, are you having thoughts of suicide, takes that burden off of your loved one. It says, I take your pain seriously. It says, I want to know about your struggles. It says, I have thought about what it would mean to care for you, and you are worth it to me. It is so much easier to say yes than to say, I am having thoughts of suicide, and I need help. It's not easy to hear someone you love answer yes to that question. But learning how to be comfortable talking about suicide is one of the most important skills I've learned. Now I don't have to wonder if the people I love are in pain, because I can ask. It became normal among our group of peer counselors to check in with friends, family, and one another when we could see that someone was struggling with feelings of helplessness, hopelessness, or isolation. Knowing that any of us could be comfortable saying and hearing the word suicide meant that we could answer the question how are you? honestly-for me, this was the first place I felt safe doing that. If your message is, you are worth the struggle, that means being on board for struggling together through the pain. So say it out loud-are you having thoughts of suicide? Say it by yourself, practice saying it with a trusted friend, ask someone you're concerned about. It's hard, but it is so worth it.